Shenzhen World Electronic Co.,Ltd. is a lithium batteries high-tech enterprise, with former name Feng Litai Electronic Co.,Ltd, which is one of the earliest laptop battery mass production factories in China, had been manufacturing laptop lithium battery since 2002. To expand advanced technology and market, integrate industrial chain resources, we are a joint company combined by several lithium batteries manufacturer. Our focus is to create an international competitive lithium batteries enterprise. 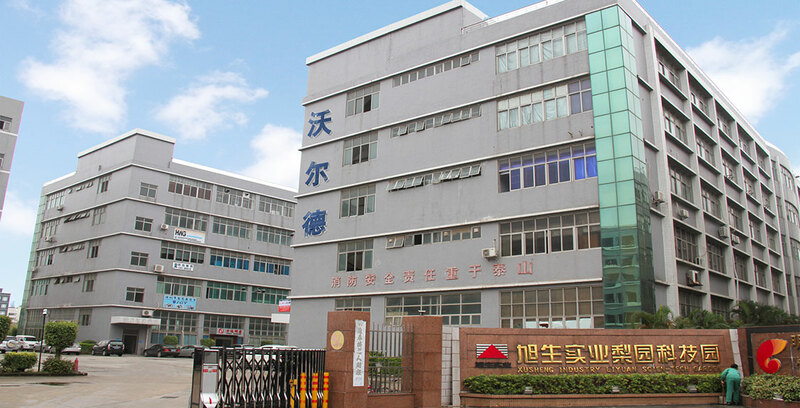 Shenzhen World Electronic Co.,Ltd is a lithium batteries high-tech enterprise, professional on R&D, producing. Our company obtained independent import & export rights and general taxpayer qualification. Front-end application is positioned as World Power development direction. Offering”Quality, Efficient, Safety, Eco-friendly” li-ion battery products is our mission. Continued research and innovation, competitive cost and manufacturing advantages already help World Power been many well-known enterprises lithium battery supplier. Shenzhen World Power own an excellent engineer team, engaged in lithium batteries for many years. Our team have a lots of experiences on hardware and software R & D, always pay attention to the latest development of lithium batteries and latest applications. World Power operate strictly according to ISO9001-2008 Quality Management System. The workshop is equipped with advanced production equipment and world-class testing instruments. Also has professional manufacturing and quality controlling staff team. They make batteries strictly on each step, optimize and improve the manufacturing technologies to ensure providing the customers with world-class products . World Power’s focus and professional spirit is helping us to provide a world-class environmentally energy and create green, low-carbon and clean home through constant effort and technology innovation.